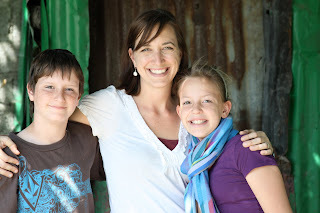 Below are Hannah's words about her experience at Korah. 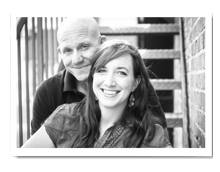 Following are the videos that Dave & Erica created from our trip...enjoy a glimpse into the week that changed my life forever. **Note: Before you start the video, scroll down and pause the playlist at the bottom to stop the music. We live in a three bedroom, two bath, full kitchen, living room, and a family room. We have a TV, computers, and an Xbox 360, anything and everything they could dream of having, including a bed. And they live in a trash dump. Plain and simple, nothing to it. You can’t spice it up or make it sound better than it is. It’s a garbage dump. And people live there. It smells like something rotten and sour. They have to sleep there, find there food there, and it’s disgusting. Yet they have so much joy. Joy over the smallest things. Like a bottle of Coke. Or a plate of enjera that they have to share with, like, six other boys. And they’re all making sure that this person had enough or that person is finished or that we don’t want any, before they take the last bite. What it did for me was to show me how selfish I am when I have so much and how generous and giving they are when they have nothing. It just about killed me to see the way they live. 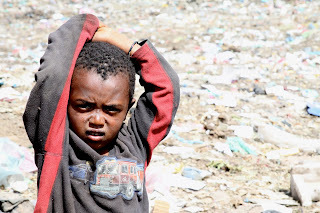 This trip to Ethiopia was one full of tears but the one most impacting thing that made me cry the most, as soon as I got in bed, was the trash dump. 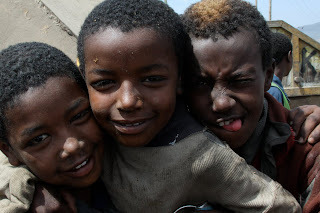 While in Ethiopia, I experienced many things for the first time. I saw many things I had never seen before. But I think for every single one of us on our team, there was one experience that stood out among all the others. One that impacted each of us more than any other thing we saw, seared images in our minds, and wrote its story on our hearts in a way that we will never forget. The day was Friday. 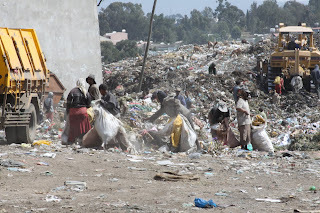 And the place: the trash dump of Korah. Because the Bible was written 2,000 years ago, sometimes it is a challenge to interpret the scriptures. We have to try to take the literal meaning of the passages and make them understandable in our context, or at least learn enough about the context in which it was written that we can make correct application now. Like--who is a “Samaritan” in our culture?....What does it mean to “take My yoke upon you”….who are the “widows and orphans” in our day? One thing I realized quickly on my trip: in Africa, there no need for interpretation of these types of passages. The application is obvious. Literal widows. Literally, millions of orphans. And literal lepers. Outcasts. It’s 2010, but it felt like stepping back in time. Korah is a town that built up around a leper hospital on the outskirts of town. The hospital was built far out from the city, over 75 years ago, in order to offer treatment but to keep those with the disease away from everyone else. Even now, they are still seen as cursed and treated as outcasts. There is a stigma that goes with being from Korah, living in Korah. And located right in Korah is the trash dump. 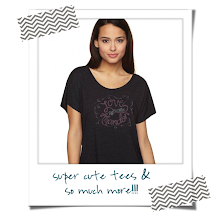 We fell in love with Korah for several reasons. For one, our work project was at the school located in Korah, Bright Hope School. We drove there daily, and saw the poverty and affects of the disease, both physically and socially, on the people. But our greatest connection was Sammy. Sammy, our translator, became a dear friend during our trip—and Sammy is from Korah. 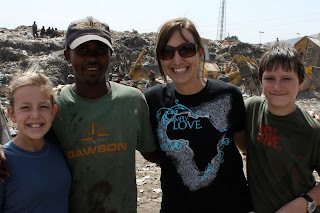 He was saved through a Young Life missionary who reached out to the dump kids almost 10 years ago, and his life has become all about serving the people of his community, and specifically, the kids in the dump. He understands, because he lived in the dump for 8 years. So we asked Sammy if he would take us to the dump. We knew it would be difficult, but I don’t think any of us were prepared for what we saw. It’s frustrating to try to describe it, because you really have to see it (and smell it) yourself to fully grasp the disparity of the situation. Landfills here looks like parks by comparison. When we pulled up to the dump, it was literally mounds of trash that appeared to be moving. As my eyes focused, I realized it was people and animals walking, and sifting through the trash. We walked up the hill to the actual dump. The smell was the most horrible I have ever experienced. It seemed to almost tangibly fill the air, like a thick cloud. And there was no where to get away from it, no matter which way you turned your face—it surrounded you. Even breathing through your mouth didn’t help. It felt like you were ingesting it. When the garbage trucks would drive through every 5 minutes or so to dump a load, they would stir up a dust around you, clouds of filth. It was awful. Sammy took us and began introducing us to his friends. Some would not let us shake their hands because they had been digging, instead they would give us their arm. Others put their hands out, and we embraced them, asked their names, and thanked them for letting us come visit them. Men, women, children…all walking and digging. We were definitely a sight, with our white skin, so some stared with curiosity and some with distain. Others approached us and wanted to talk to us. When a truck would come, though, many would run over to get first dibs on the load that was being dumped. The ground was covered with a soft compost of garbage, trash of all kinds. When you looked down on the shoes of those who had been walking on the heaps, they were covered with the grossest gunk. To think that some of these people slept there was horrifying. 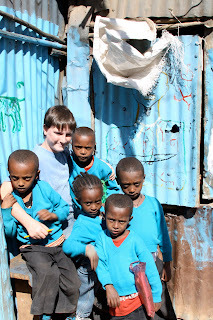 Sammy gathered about 100 of the kids from the dump and we walk across the street to an outdoor restaurant. 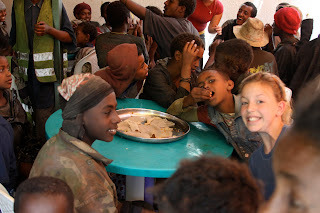 We ordered sodas and platters of traditional Ethiopian food for them. We sat and talked and got to know them. We told them why we had come, to show the love of Jesus and to hear their story. They asked us to please tell people on America about them. How they live. How they have no way out. How they need a helping hand. And many told us of their love for Jesus. How He had saved them and they had a hope and a future in Him. In a place where people were living far beneath their worth, as image-bearers, there were leaders who were living among them, sharing God’s message of love and acceptance. This post is long and I could go on and on about the dump. Instead, I will invite you to read Erica’s post here, for another perspective on the visit and a bit of a challenge. Sometimes it’s nice to see it through another’s eyes. 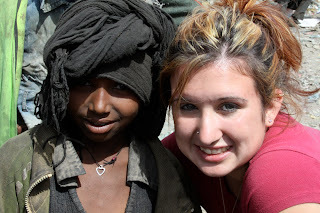 Then, my next post will be Hannah’s perspective, as well as a video from our trip. Make no mistake, we are commanded to do justice. It is part of the Kingdom life we experience and flesh out now, mirroring what Kingdom life will be like one day in His presence, when all things are made right and whole. 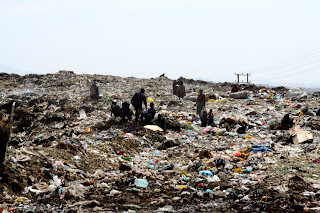 And people—children--living in a trash dump…that is not just. 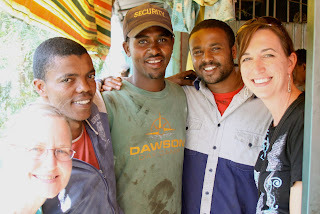 Would you pray for them, for my new friends in Korah? For those kids in the dump? For those leaders, like Sammy, who share the love of Jesus with them and are fighting for them, speaking up for them. We as a family, and as a church, are praying about how we will get involved. Would you join us? Isaiah talks alot about true worship of a holy God, and how much of the time, our offerings are meaningless to the King because of the spirit in which they are presented. We practice religion on the exterior but do not allow a holy God to lay claim on our very lives in a way that transforms our hearts and changes how we live. And how we love. If I read this literally, and just take it at face value, then I have a responsibility. I am to defend the cause of the fatherless. It is part of how I worship and serve my King. I think it was John Piper who said, "If you are a Christian, then orphans are your thing.” Isaiah is just giving us a picture of the heart of God, and telling us to have the same heart. Jesus loves the underdog. After all, He loved us, when we were without hope and long before we were loveable. There are 147 million orphans in this world. 147 million. Million. That thought is staggering to me. I know there are many children in this country who are without parents. They need loving homes, and I support and encourage domestic adoptions in this country. But for me, who had never been to a third world country---I had no idea how overwhelming the need really is. 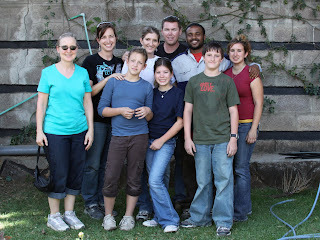 Many of the ministries we served in were orphan ministries. There are just so. many. children. In this country, (though you may argue about how broken or needy our foster care system might be) at least we attempt to care for a child’s basic physical needs. We see it as basic rights for a child to have clothes, be fed, be warm, and get an education. Not so in Africa. There are so many orphans, and even those with one or two parents are often so poor they still do not have their basic needs met. They are stuck. They cannot go to school because they cannot afford the books and uniform. Instead, they beg on the street or shine shoes or dig through trash or sell gum to make enough for their family to buy bread for the day. There is no way out, unless someone helps them. In the intro to Isaiah in the Message, it says, “The impressive art of Isaiah involves taking the stuff of our ordinary and often disappointing human experience and showing us how it is the very stuff that God uses to create and save and give hope.” I love that! Because while it may sound like my only possible response would be despair, it was in fact, hope. I saw leaders who were sacrificing much and making a difference in children’s lives by educating them, feeding them, and giving them a hope for a future and a hope in Jesus. I saw teachers who were enthusiastic about their jobs to educate these young ones—they made me want to be in kindergarten!! I saw children who were eager to learn, quick to embrace, and full of life and love. I saw a legacy of love, where hearts and souls were being told their worth in the eyes of their Creator. It was beautiful. now ministering to hundreds of kids...our God is a God who saves! Well, I am so sorry I was not able to post updates while we were in Africa. The internet is spotty at best, and usually unavailable. Erica had better luck and was able to post a few times--check out the mission trip blog here (if you haven't already) and you can read a bit about what we did on our trip. For now, know we are home. We are resting, recovering, and trying to slowly enter back into routine. But we will never be the same. Honestly--I am wrecked. Thank you for your prayers while we were there and even now that we are back in the US...they have upheld us and encouraged us through it all. I look forward to how God will use this experience for His glory even in the days to come, even though the trip is over. And let me say, for the record, we will go back. Never have I ever seen anything like the orphan crisis evident there, and frankly, evident in much of our world. The need is so great. And the people there so grateful that we care enough to do something about it. 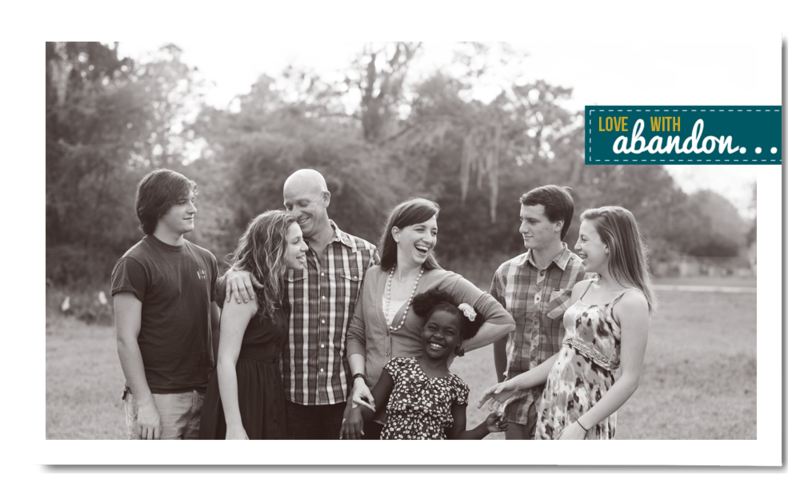 I am so encouraged in our decision to adopt and can't wait to see who God will choose for our family. Those of you adopting...navigating red tape...waiting...sacrificing financially---hang in there! It is a beautiful thing you are doing, so do not grow weary. We are cheering you on from here!